Rover loves a road trip, but his furry bottom is not a fan of sitting and staying on the hard ground of your cargo area. Give your best friend first-class traveling accommodations with the Canine Cover Crypton Paw Pattern Cargo Dog Bed. This overstuffed and quilted pet bed turns any trip into a relaxing, comfortable adventure for your pooch while protecting your carpeting and upholstery at the same time. 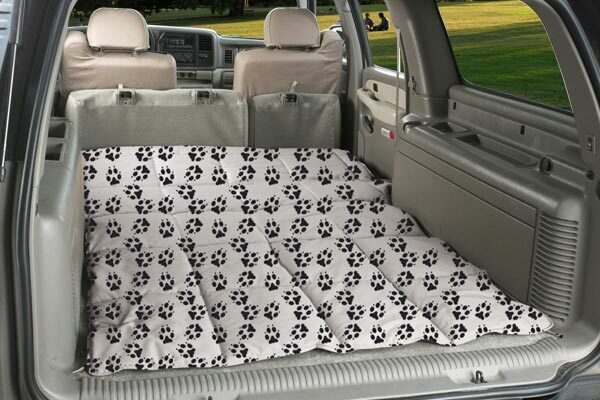 Whether you’re driving across the country or just jetting down to the park, the Canine Covers Paw Print Car Dog Bed turns every trek into a pleasure cruise. 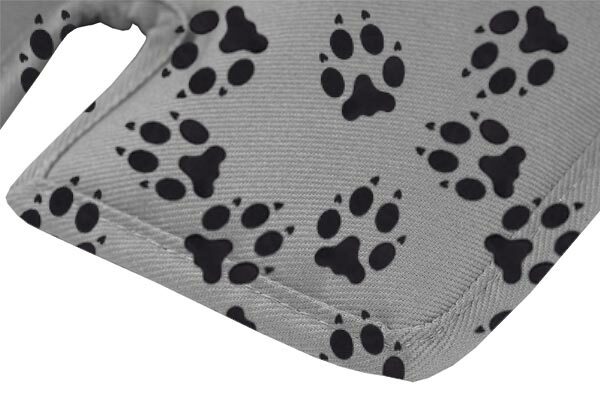 Tailor made from Crypton Super Fabric, it features an inviting suede finish, a fully breathable weave and an attractive Paw Print pattern. Besides blocking against stains, this sturdy fabric’s patented fiber-embedded finish also repels bacteria and odors. And with multiple color options to choose from, it’s easy to coordinate your Canine Covers Dog Bed with your interior design. 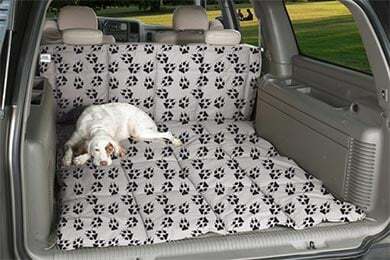 Never one-size-fits-all, the Canine Covers Crypton Dog Print Cargo Bed is custom made to fit your specific year, make and model. It secures to your back bench’s headrests in a flash, and the waterproof nylon liner ensures slobber, spills and smelly accidents don’t soak through. When it does get dirty, a quick spin through your washing machine restores the freshness. 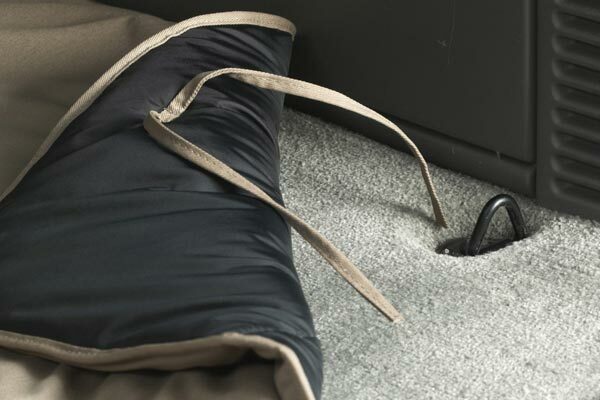 Better still, Canine Covers backs your Crypton Paw Print Cargo Liner Dog Bed with a 90-Day Warranty. The fit and quality of the dog cargo liner were great. The first time I let my dog onto the new bed, he was excited that he now had a super-huge area to call his own. I bought the cover for the custom fit, odor fighting material, and bed/liner concept. What I like about the cover so far are the bed/liner and that back of car is odor free so far. What I don't like is that it doesn't stay in place and it's a tad long. Great idea, but it's only at the 95% solution and at this price it should be at 100%. I found the product to be exactly as advertised. It fits well and looks great. AutoAnything was veyr good about keeping me updated on delivery times. Reference # 753-512-653 © 2000-2019 AutoAnything, Inc.